No add-ons are included with the EE4 support license at this time, but you can purchase them individually and use them for as many support licenses as you own. Also, please see our post: A New Direction for Event Espresso 4 Support Licenses. Purchasing Event Espresso 4 is 100% risk-free. You have 30 days to try it out and decide if you like it or not. If Event Espresso 4 is not a good fit for your project, then we'll refund your purchase! There's absolutely no way you can lose, except by not giving Event Espresso a try today. What would it mean for you to have an events solution for WordPress that worked for you around the clock? Imagine no longer having to spend hours and hours dealing with paper registrations, hounding people for paper checks, or piecing together a bunch of different products to handle your event registrations. Think about the time that you would save knowing that your event registrations were being taken care of right from your WordPress website. What would you do with that found time? Wouldn’t it feel great to know that with your next event, your website could feature information about your staff, collect attendee registrations, and securely process payments for you? And before your event, you could create an attendee list in just a few clicks from your WordPress dashboard, so you are ready to go for your event. Need to host events that have different dates with their own attendee limits? Event Espresso can display your events automatically on the Events Calendar add-on! Event Espresso is an events solution for WordPress. With Event Espresso, you can create and manage your events from your existing WordPress site and quickly receive online payments for each paid registration. Event Espresso is versatile and can handle free events, paid events, and display-only events where you want to show event information without accepting registrations. It even works for events with multiple dates and different pricing options. Can I see some example events or demo Event Espresso? Yes! You can check out example events, see a walk through video on how to create an event, and create your own hosted demo site on demoee.org. I understand that Event Espresso is flexible and can be used for a variety of events. Are there certain use cases where Event Espresso is not a good fit? We do not integrate with Woocommmerce. Which support license should I choose? Our most popular support license is the Everything support license which includes all current add-ons and new add-ons while your support license is active. The Personal support license is a good fit if you are getting started with events and the Developer support license is a great choice if you have multiple projects. Your support license will automatically be renewed each year with a loyalty discount of 30% to 50%. Where can I use Event Espresso? Event Espresso is a WordPress plugin and the self-hosted version of WordPress is required. If you are looking for a new WordPress host, then check out what our event organizers have recommended on our requirements page. We accept online payments through credit and debit cards including VISA, Mastercard, Discover, and American Express. We also accept payments through PayPal. Can I start with a Personal support license and then upgrade later? Yes, if you begin your project with the Personal support license and then upgrade later to the Developer or Everything support license, then you’ll be credited for your existing purchases. What is the difference between a main support license and an add-on / extension? An extension or add-on extends Event Espresso to introduce additional functionality such as allowing your guests to browse events from an events calendar, allowing attendees to register for multiple events at once, and sending your attendees / registrants tickets through email after a successful registration. An active support license (e.g. Personal or Developer) is required to purchase an add-on or extension. If you choose the Everything support license, then you’ll automatically gain access to new add-ons at no additional charge while your support license is active. Can I use Event Espresso with WordPress Multisite? Yes, however each website on a multisite network is considered a separate project so a support license is needed for each website where you would like to use Event Espresso. Do you offer discounts to nonprofit organizations? Yes, we offer a discount on the initial purchase for nonprofit, NGO, and charitable organizations. Share information about your nonprofit organization to request a discount. This discount cannot be applied retroactively or combined with other offers. 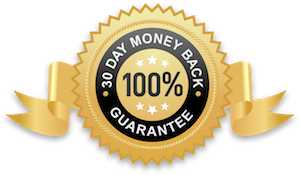 We have a 30-day money back guarantee on all purchases. We ask for the opportunity to help you with your questions about Event Espresso before processing a refund. If you begin your project with Event Espresso and we can’t help you get back on track and moving forward, then you can ask for a refund within the refund period of 30 days from your purchase date. What happens if I do not want to renew automatically? You do have the option to turn off the automatic renewal from your account page. We recommend that you allow your support license to renew automatically each year so that you receive your loyalty discount and have access to ongoing support services such as help from our team as well as software downloads and updates. If your support license expires, then you will lose your loyalty discount, lose support services for your site, and the software will work as-is. What if I don’t have (or don’t want) a WordPress website? We recommend our sister product Event Smart which is a hosted version of Event Espresso. Let us handle the complicated things like managing a server, updating plugins, and security so you can focus on your events. Create your events registration and ticketing website with Event Smart today. My question isn’t answered here. Can I get in touch with a team member at Event Espresso? Yes, you can reach us through our contact page and we’ll follow up with you. "Exactly what we were looking for in an event system"